When travelling it's so important to have a sturdy case to pack your makeup in. I've heard so many horror stories of people getting their favourite products damaged while travelling. I think the worst I've had is an eye pencil break. Which was my fault because I didn't package it correctly. Sephora has come out with a gorgeous lightweight hard-sided travel case to solve your travel issues. 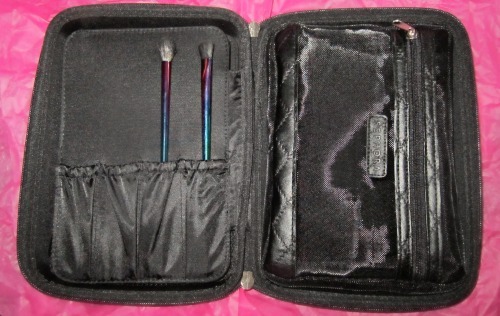 Plus it comes with high quality makeup brushes and a mesh makeup case! Travel light without sacrificing style. This sleek, chic, hard-sided case comes with six premium makeup brushes, plus a smaller makeup bag for all your favorite cosmetics and makeup products. Carry it when you travel or whenever you need a portable makeup studio. 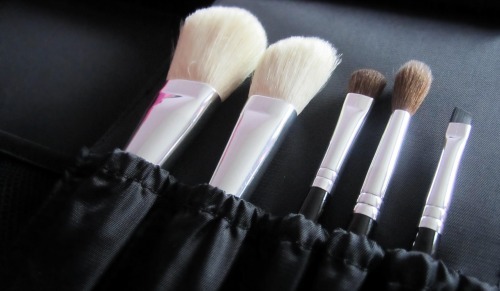 On the other side of the case- you can store more brushes. 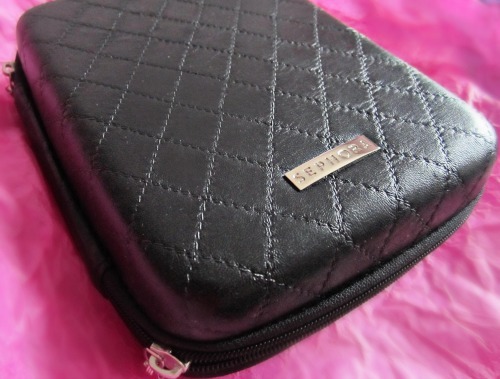 Plus there is a removal mesh makeup case on the side. When I'm travelling, I put it in my suitcase in-between my clothes. No far I've had no issues at all. Have you heard of Trind Cosmetics? Trind’s unique formulation strengthens the connection between the protein molecules, without altering the balance of the essential moisturizers. The nail becomes strong, flexible and supple because you have that perfect balance between strength and moisture. 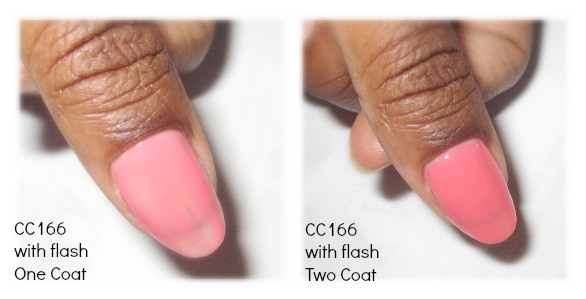 Activated by moisture, Trind’s formulation prevents further drying of the nail. I've tried their nail care line in the past and really liked it. This time I had the opportunity to try out their polishes Caring Colors polishes. 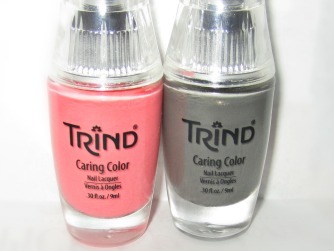 The Trind Caring Color Line ($13.00 CAN) offers a fascinating palette of fashionable shades for fabulous nails. Color Lacquer that has specially been developed as a maintenance system. These polishes have great colour pay-off. As you can see above with these colours- two coats is all I needed to get a great finish. 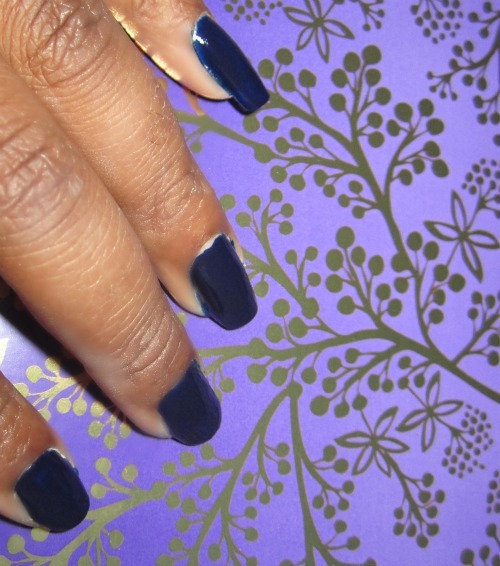 Want to try out these polishes for yourself? Gel polishes are on the rise. Some people want the durability of Gel polishes without the crazy removal time. 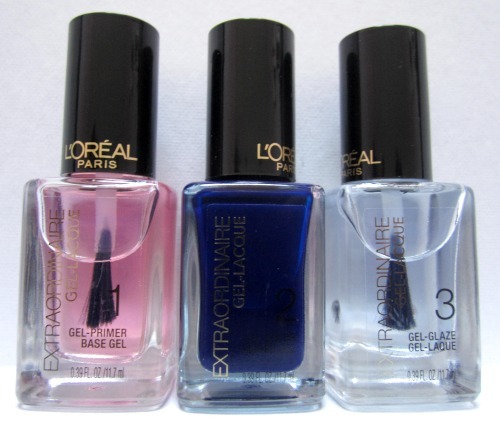 I was recently sent L'Oreal's new Extraordinaire Gel-Lacquer 1-2-3 manicure set. It was a three-step process. Shake gently. After applying Gel-Primer, apply 2 coats followed by Extraordinaire Gel-Glaze. Let me start off by saying I love the consistency of the polish. No bubbling or streaking during my application. All I needed was one thick coat! I was extremely impressed with the dry time. Colour stayed on pretty good for 7 days. I will say that the gel-lacquer holds up better than regular polish for me. I just wish that it still had the shine like my regular gel manicures after a week. The removal was a breeze. I used regular nail polish remover. No issues/ damages to my nail beds. What do you think about my 7 day wear? 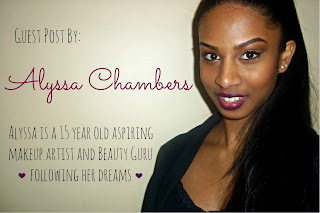 I feel like it's blush week here, over at Spiced Beauty. I'm a sucker for a well designed blush. I swear sometimes I don't even want to swatch them! They're so pretty. That's how I felt with Clinique's new Cheek Pop ($24.00 CAN) blushes! How cute is the name? 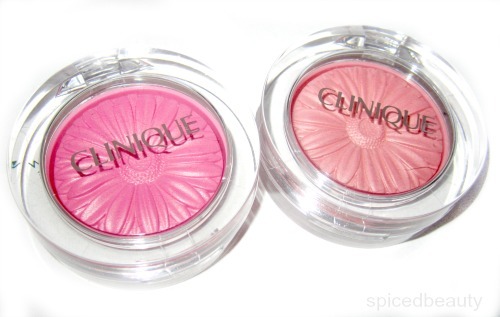 These blushes are getting rave reviews. The formula is very light, pigmented and long-lasting! 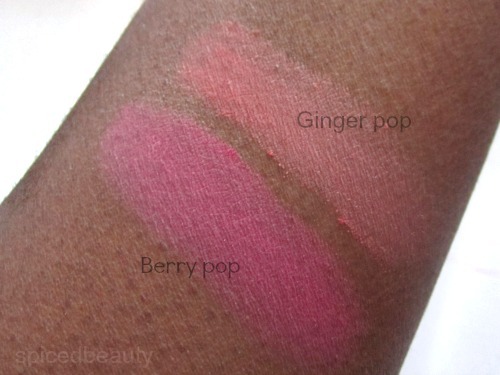 On my skin tone, I would gravitate towards Berry Pop. It would look great with a smokey eye or a nice monochromatic bronzed eye. I could also see myself wearing Ginger Pop with a nice cat eye and glossy lips. The options are endless. Joe Fresh has to be one of my favourite stores to shop. It doesn't matter if it's in-store or online, I always find one item to put on my must have list. In my city, my Joe Fresh location is in Loblaws. Food & clothes- what more can a girl want! This summer, I was so excited to find out what's available! 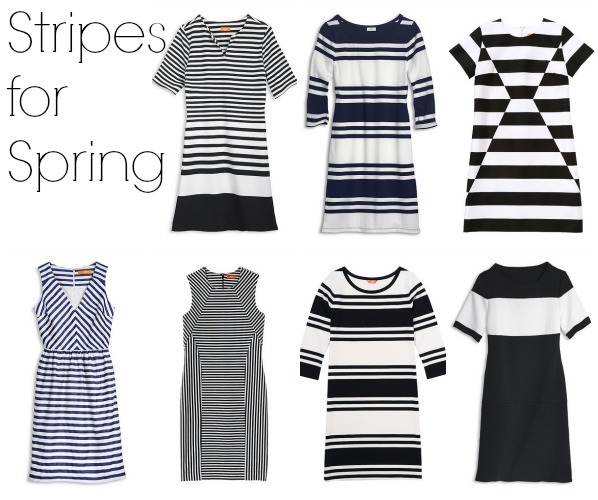 Stripes are on the menu. Each dress here is under $40.00 CAN. Eyebrows are what frame our face and can completely transform a look. Here’s how you can achieve the perfect brow. Step 1: First groom your eyebrows using a spoolie. I like to use an old mascara brush that I’ve cleaned and then bend the tip. 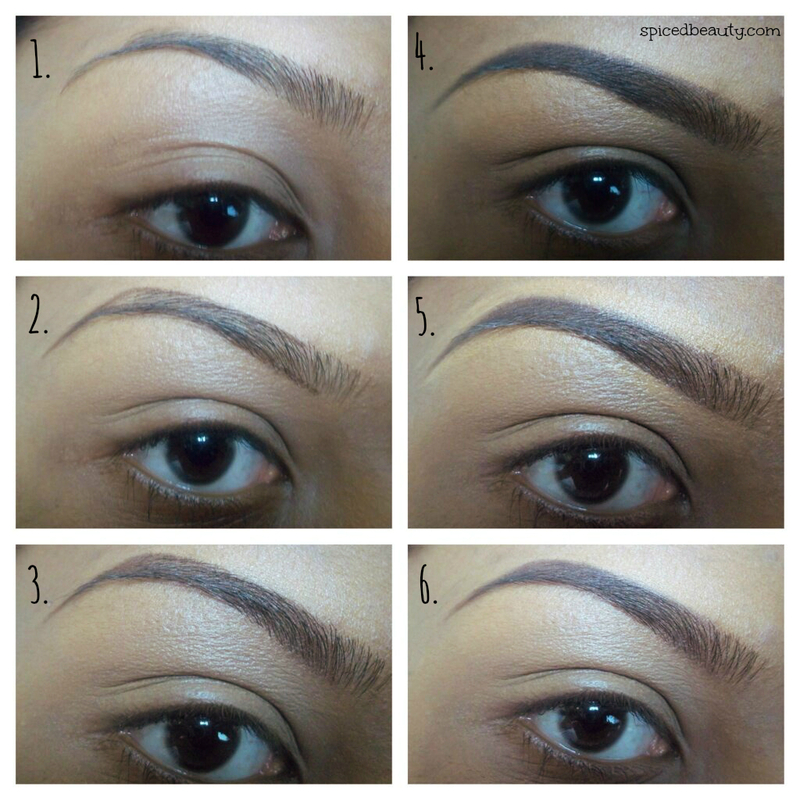 Step 2: Then you want to lightly outline the brow following its natural shape. If you want to extend it, do it slowly and try to keep your line consistent. You want to make sure you stay 1-3 shades within your hair colour. So if you have black hair; go for a dark brown. And if you have blonde hair; go for a light brown. 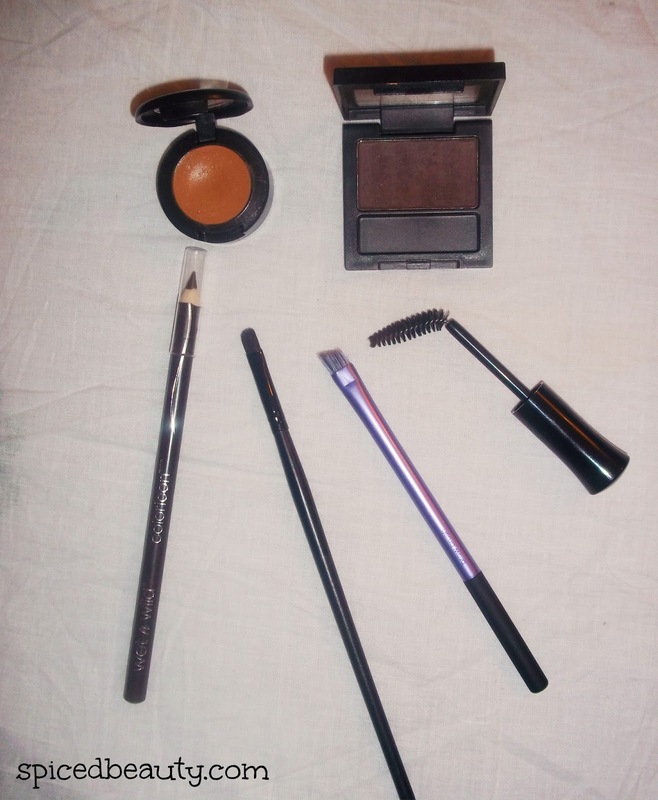 I’m using the Wet N’ Wild brow & eye liner in dark brown. The great thing about this product is that you can get it for around $1, it’s highly pigmented, and lasts a long time. Step 3: After outlining the eyebrow, very lightly feather in small strokes (using the same pencil) following the direction your natural hair grows. Bring out your spoolie again and blend to avoid harsh lines. The more often you blend; the better. Step 4: Then I take a Real Techniques brow brush with the Revlon eyeshadow in Rich Sable and lightly feather in any gaps. If you want to fill in the beginning part of the eyebrow; use an even lighter colour. If you’re using an eyeshadow, make sure that it’s matte and has no frost –unless you want some shimmery brows! Step 5: This step is optional. Use a concealer that matches your skin tone (please no concealer that is lighter than you) and take a small synthetic brush and outline the outside of your brow. This covers up any excess hair and gives a very clean, sharp look. I recommend MAC's studio finish concealer because of its creaminess and longevity. Make sure you blend in that concealer! Step 6: Lastly, use a clear brow gel to set your brows. This step is also optional, but it allows your eyebrow to stay put throughout the day. I honestly think it's the year of the blush. Well for me... at least. I have come across so many great blushes and were not even half way through the year! If I had to pick one of my favourite blush formulas it would be cream. I love how you can play with the texture to get a desired look. 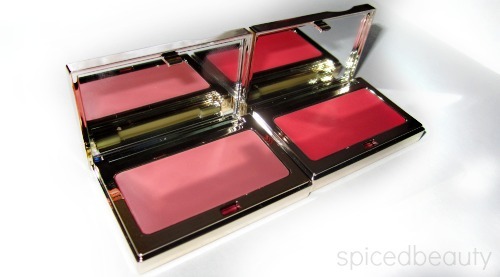 Check out the new Clarins Multi-Blush Cream Compact blushes($9.99CAN)! 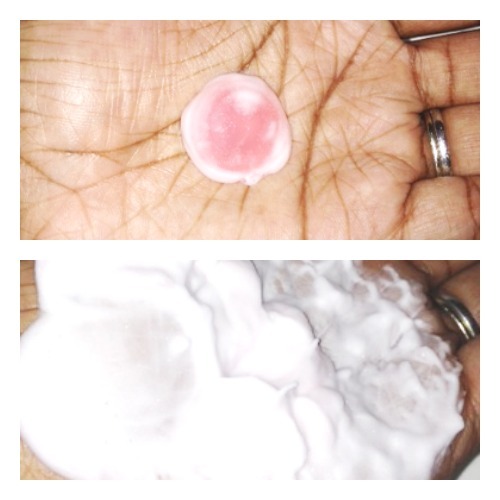 A cream blush that transforms into powder upon contact with the skin. Right before Valentine's day, I had a horrible break out. I don't know if it stress-induced or whatever but it wasn't going away. TIn the beginning of February, I was sent the new Biore deep pore charcoal cleanser ($9.99 CAN). Skin acting up? Meet Charcoal. The new secret weapon from the Bioré® Skincare Experts. Draw out and trap 2x more dirt and impurities than a basic cleanser with this innovative black cleanser that foams white and rinses clean. Infused with Japanese Skin Purifying Technology, this facial cleanser gives you results after just one use! Ugh... It's embarrassing to show this image but it's only to show progress. I love it! I'm extremely surprised to see that I get a really good deep cleanse from a product that doesn't have any micro beads in it. 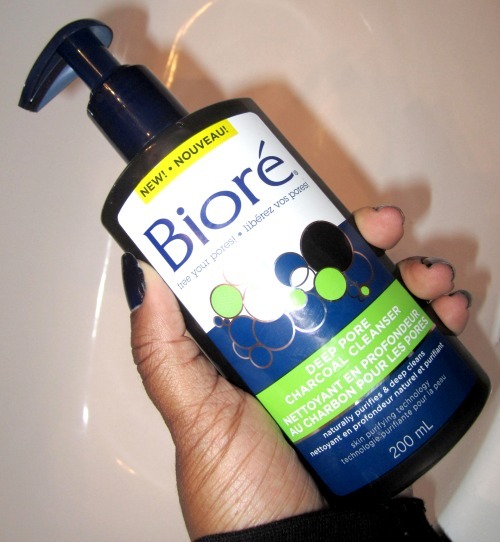 Similar to other biore products, after you finish washing your face you do get that tingling feeling. Or the "clean feeling" as my brother calls it. The formula is pretty cool because in the bottle it looks pretty dark but once pumped it's a light grey with little black specs which I assume is the charcoal. Honestly one squirt is all you need. 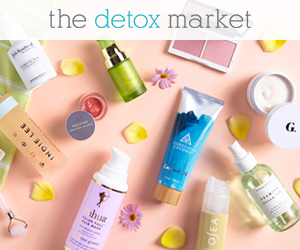 Check out some great Biore products on sale! The new Skintimate® Signature Scents® Mandarin Burst shave gel has arrived in Canada. Although some people see Winter as a time to "let loose"- this is the best time to REALLY test out this new shave gel. Skintimate® Signature Scents® is back with a new flavour to add to its already exciting shave gel lineup. Featuring the refreshing citrusy fragrance of mandarin oranges, lemons and limes, Skintimate® Mandarin Burst Moisturizing Shave Gel provides a combination of aromatic scent and moisturizing properties perfect for warming and smoothing that rough ‘winter skin’. Trust me when I say you will love this. The foam is very manageable. You don't have to worry about making a mess. They way how it dispenses! 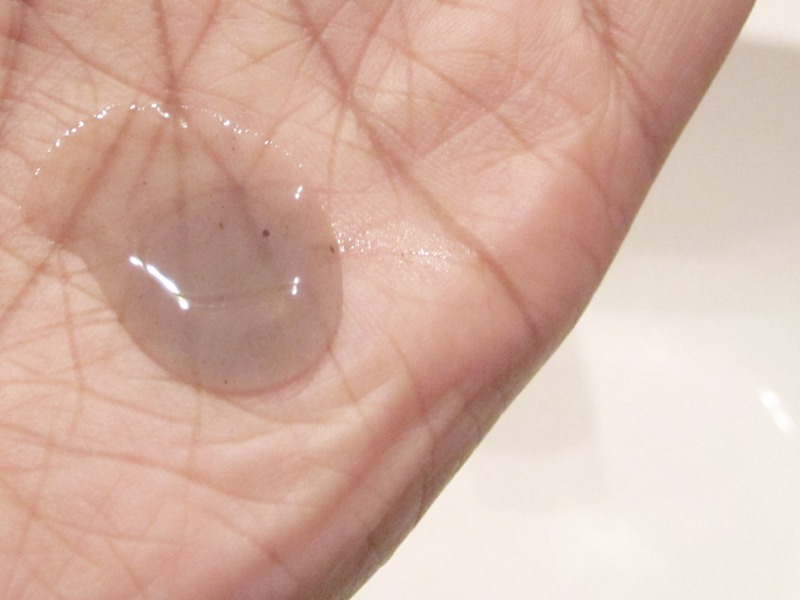 It comes out as a gel. Once you rub your hands together it forms a really nice thick lather. Not the type that easily washes off easily in the shower. It also contains six moisturizers including antioxidant Vitamin E and Olive Butter. The type of oils that winter skin really needs. I'm impressed. Plus I love citrus scent- it totally reminds me of summer. Canadians! Are you interested in trying it out for yourself? I'm looking for 10 Spiced Beauty readers to review the product with me. Once you submit you review, you're eligible to win a $100 visa gift card. 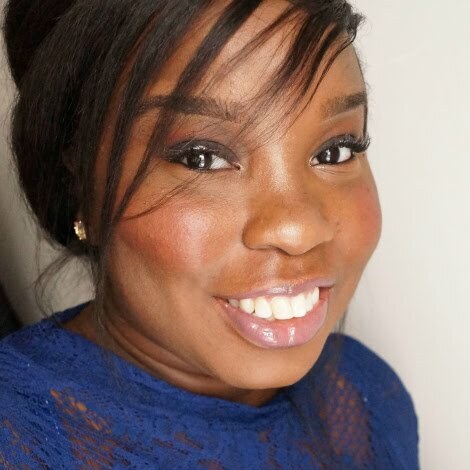 Please note: By sending in your review, you agree that I may publish all or part of your review, including the name or initials you use to enter the contest on the Skintimate website and social media pages and on www.spicedbeauty.com.